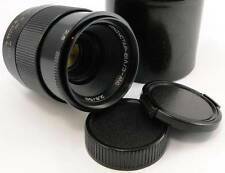 MC INDUSTAR-61 L/Z 2.8/50 Russian Soviet USSR MACRO Lens M42 - Based on Zeiss Tessar. 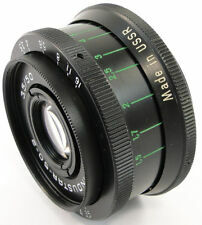 Lens mount: M42. This lens marked by State Quality Mark of the USSR! Made in USSR. Focal length: 50mm. We cleaned it inside out. The lens is in EXCELLENT condition. All are in working condition. The focus and aperture change smoothly. The lens free of scratches. The lens has cleaning marks which doesn't affect picture quality.